According to Myra at the Panache Report, Diddy asked Kim to record vocals for the Last Night remix - the tune marks her return to music after her jail spell last year (06) for perjury. Kim admits she was thrilled to get the call from her long-time friend: "We've always had amazing chemistry together and it was a great feeling to pick back up where we left off years ago and do it again." 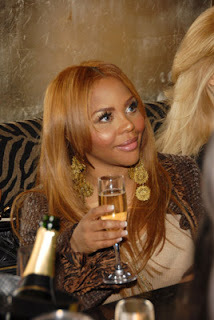 Diddy adds, "It feels great to be working with Lil' Kim again after all these years." The rapper was released from a Philadelphia, Pennsylvania prison last July (06).